More than a quarter of U.S. employees watched March Madness during work hours in 2019, according to a recent TSheets survey. The impact on business: a loss in productivity worth $12.1 billion. Here’s how we did the math. During the 2019 March Madness tournament, college players competed in 28 games that started during the workday — that’s 17 hours and 5 minutes of live March Madness games played up until 5 p.m. PT. Prior to the tournament, 26% of adults working for wages during the traditional Monday-Friday workweek said they would be watching while at work. There were 156,748,000 employees in the U.S. workforce in March, according to the U.S. Bureau of Labor Statistics. Assuming our survey was reflective of the U.S. workforce, that means 26%, or 40,754,480 people, watched March Madness at work. Break down that 40.7 million, and you’ve got the below chart. And yep, that’s 16 million fans who watched all 17 hours and 5 minutes of live tournament games at work. Total all those hours, and you get this: U.S. workers spent 437,036,772.3 hours watching March Madness while on the clock. So what does that mean for employers? The BLS reported an average hourly wage of $27.70 in March, which puts the total cost of March Madness at $12,105,918,592.70 in lost productivity in the U.S. But all may not be lost for employers. 52% of fans said they start early or stay late to get work done during March Madness. And what employers do lose in productivity, they may make up for in improved workplace morale. 61.57% of fans say workplace morale is better during the tournament, and 64.29% say they’re happier. Is employee happiness > lost productivity? Or does cracking down on time spent watching March Madness on the clock = more green at your business? You’ve got to do that math yourself. Questions? Email Alysha Love (alysha_love@intuit.com) for the full data set, breakdowns by demographic, or infographics for your website. 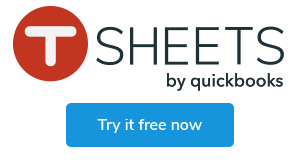 *Methodology: On March 6 and 8, 2019, TSheets commissioned a mobile phone survey through Pollfish of 1,067 employed U.S. adults who report watching March Madness at work during the traditional workweek, with a margin of error of ±3 percentage points. The margin of error is larger for subgroups. Alysha loves to dabble in the entire digital editorial process, from generating ideas to perfectly placing commas to sharing on social. She's a journalist by trade and has worked at CNN, Politico, Reuters and the Idaho Statesman. Alysha is on the executive board for ACES: The Society for Editing and runs programming for the national conference. She graduated from the University of Missouri with degrees in journalism and psychology. As a Ravenclaw, Alysha peaked in 2011 when she covered the "Harry Potter and the Deathly Hallows: Part 2" red carpet premiere in London.